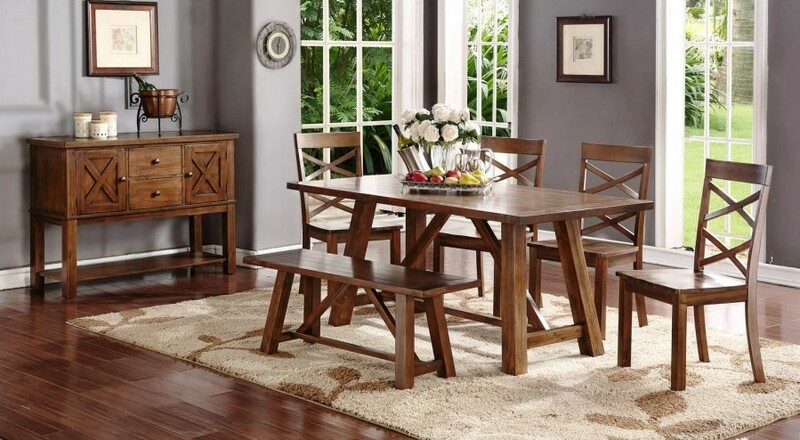 Pernel 6 piece dining set includes table, 4 dining chairs, and bench. Available in a farmhouse, rustic oak finish. Table: 64" x 36" x 30"
Chairs: 18" x 21" x 38"
Bench: 44" x 15" x 18"